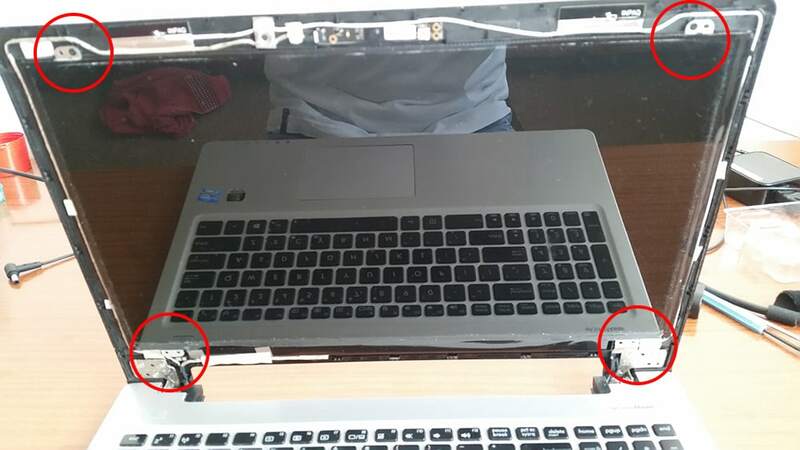 Here we gonna present how to repair the flat cable, and if it is very damaged gonna need to replace. 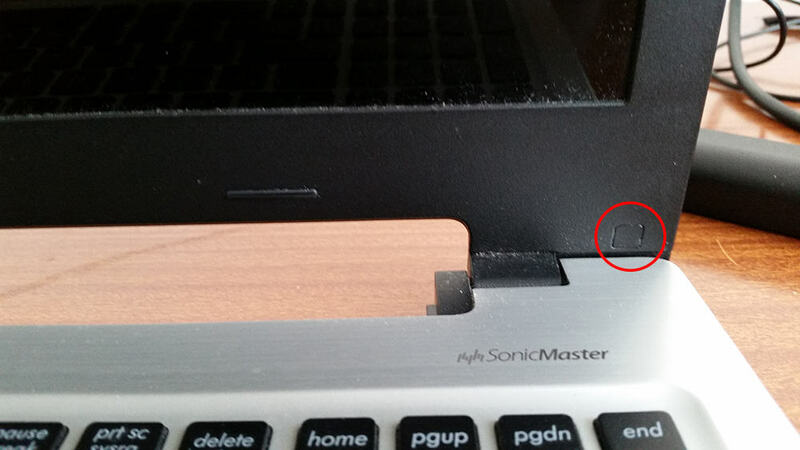 Next we need to remove the front bezel of the display. 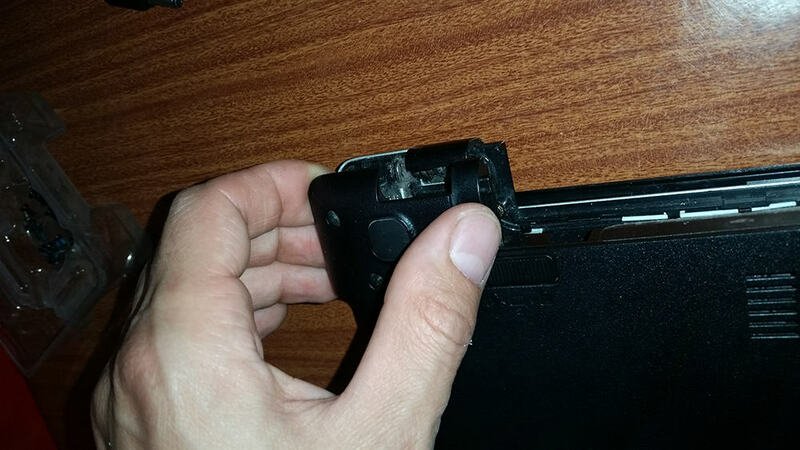 But first we need to remove two screws on the bottom of the display, on the both sides, but before that we need to remove the covers assigned on the next pisture. And, here are the screws. 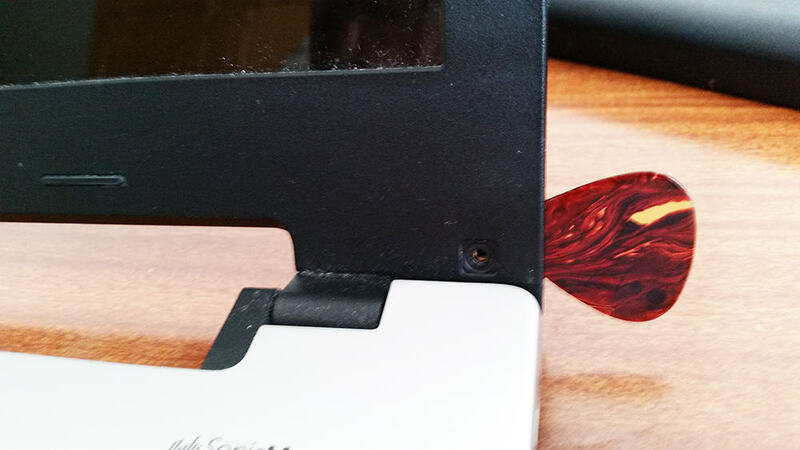 After that using this tool gently remove the front bezel. 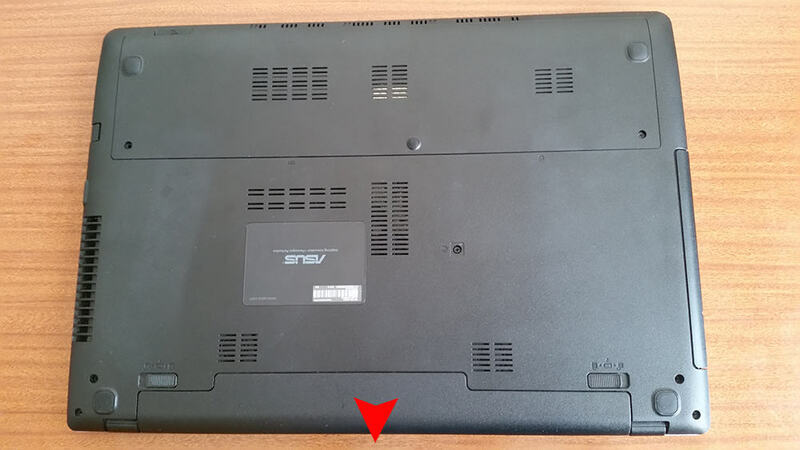 This is how look like when the front bezel is removed. 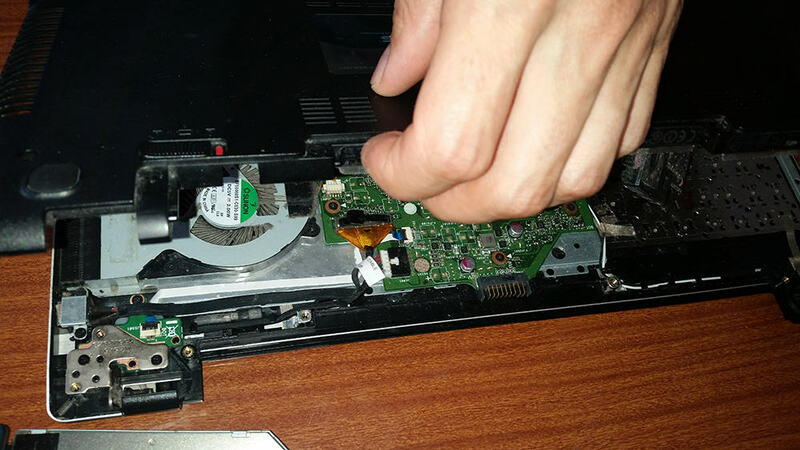 After that we need to remove the bottom panel of the laptop. 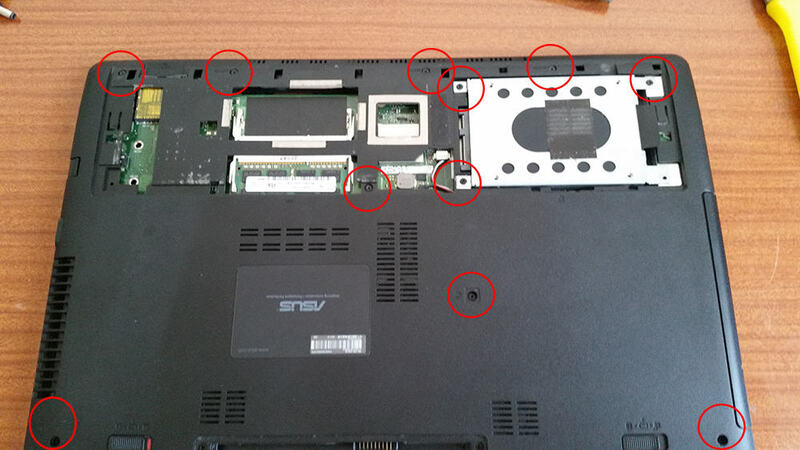 On the next picture is shown what screws we need to remove. 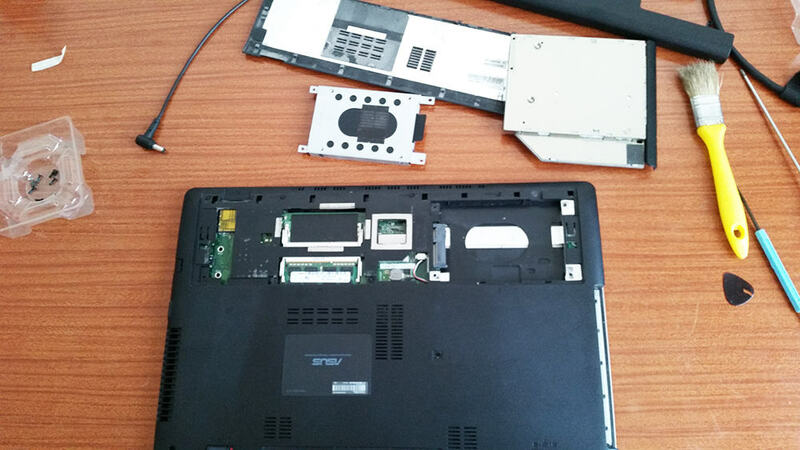 After this done, we remove the hard drive. And we begin to remove the cover. Do this very gently, and begin from the back side, as shown on the pictures. But be careful here on the speakers connector. And this is how the motherboard look like. 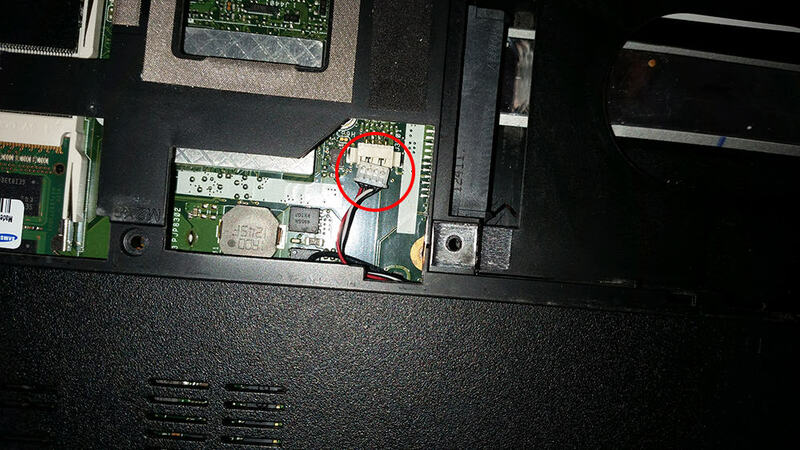 And here is the Flat Cable who connects the motherboard with the display. 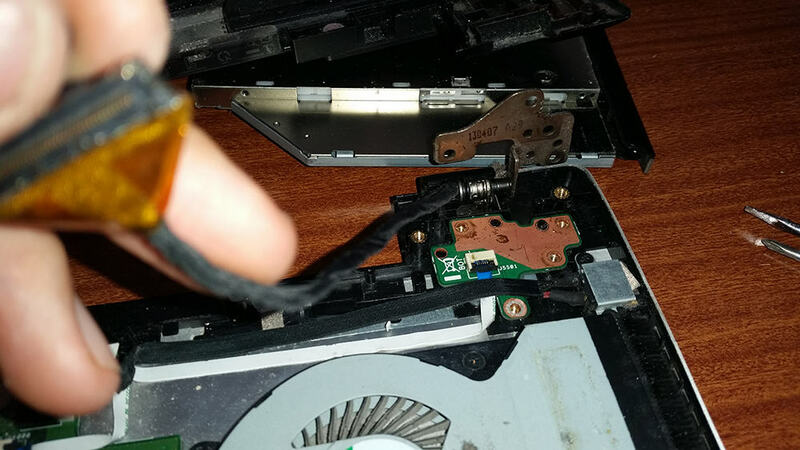 We detach the Flat Cable from the connector. 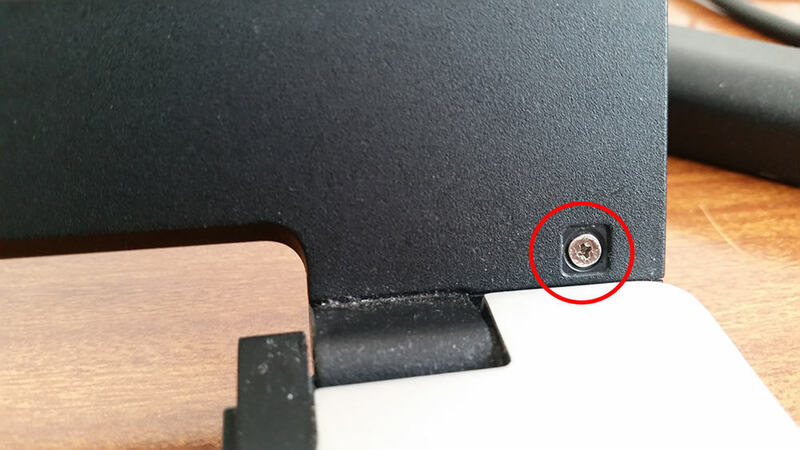 There are 4 screws that hold the display. We need to remove them so how we can release the display. 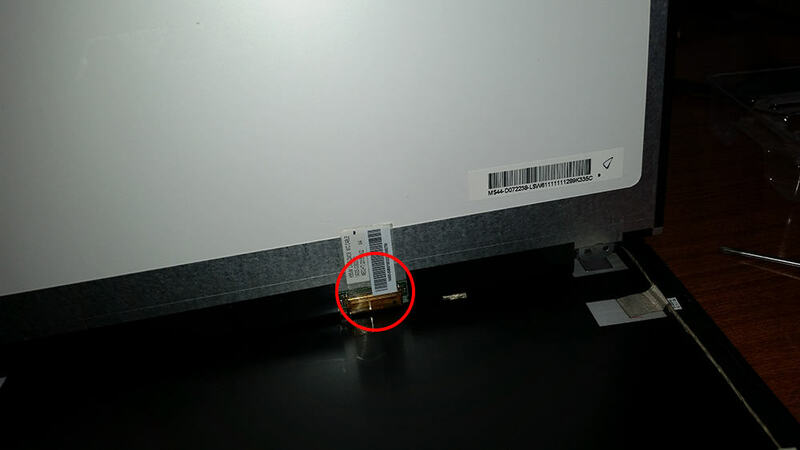 After that, on the back side on the bottom of the display is the other side of the Flat Cable, that we need to detach. That’s how the old Flat Cable is removed. Its best if you can have a new one and replace it. But in the our case, we try to repair it because we don’t have a time to wayt for delivery of the new one. 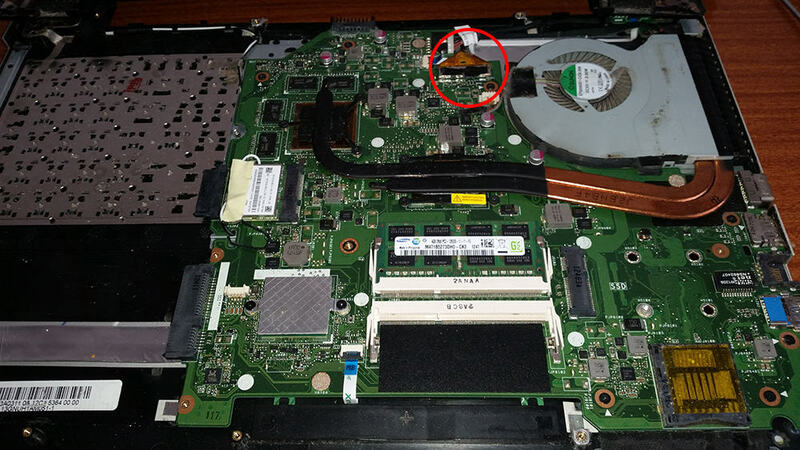 Here is how we repair it. After removing the black and the silver insulating tape, this was the situation inside. 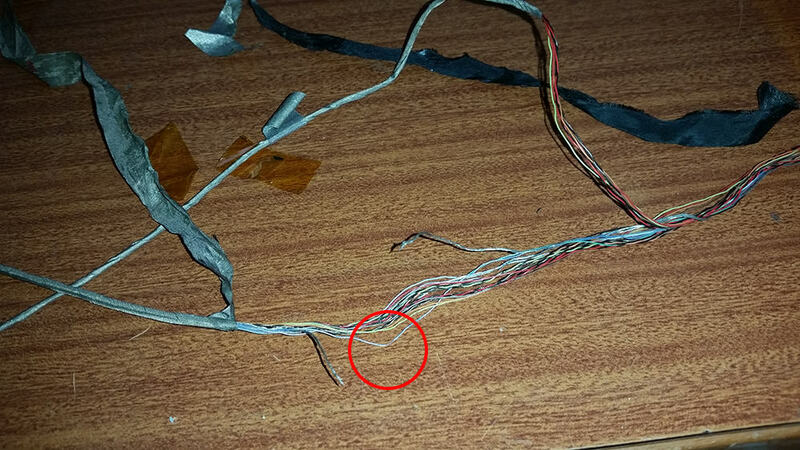 The Ground wire was completely broken and one light blue wire (assigned with the red circle) was damaged. we re solder the both wires and make a good insulation of all the wires, and the Flat Cable was repaired. 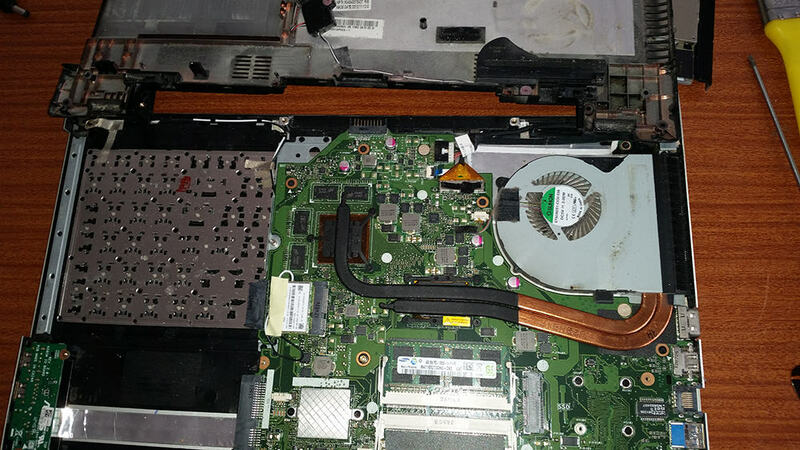 This entry was posted in Hardware and tagged ASUS, Flat Cable, Repair by Tome Trajkov. Bookmark the permalink.